Definition at line 38 of file llvelocitybar.h. Definition at line 44 of file llvelocitybar.h. Definition at line 54 of file llvelocitybar.cpp. 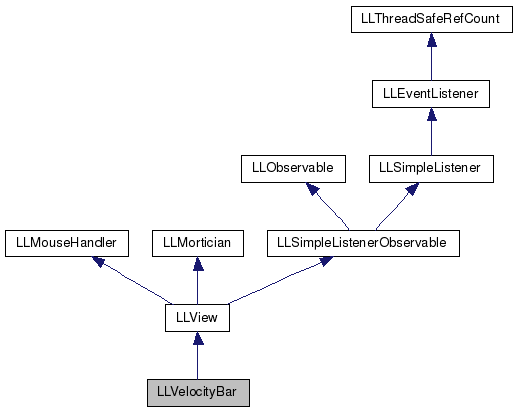 References bottom, f, gAgent, LLAgent::getVelocity(), LLView::getVisible(), LLRectBase< Type >::getWidth(), gl_rect_2d(), LLFontGL::LEFT, left, LLVector3::magVec(), LLView::mRect, LLFontGL::renderUTF8(), right, S32, LLFontGL::sMonospace, LLFontGL::TOP, and top. Definition at line 47 of file llvelocitybar.cpp. Definition at line 42 of file llvelocitybar.cpp.